The following is a list of services we provide. If you do not see the service you require listed here please contact us—it may still be possible for us to help you. 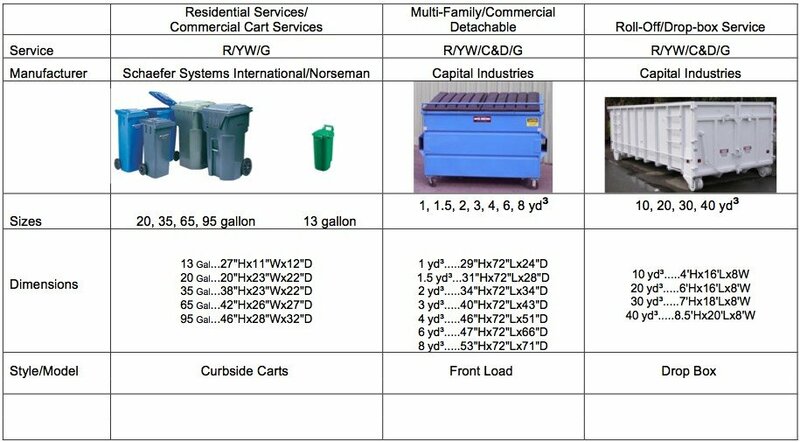 Analyzing a companies waste stream to try and get them to zero waste. No charge phone or on-site consultations. 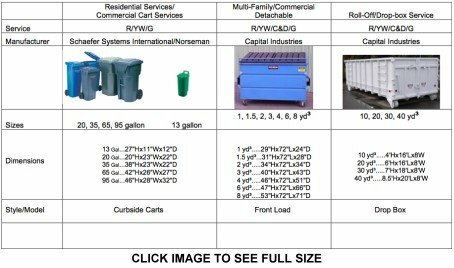 Manage a companies waste stream to provide garbage and recycling in one bill at the lowest cost.One stop service for all your garbage and recycling needs. No charge waste assessments No charge on-site consultations and waste stream planning. The easiest and most comprehensive service available. We collect all recyclable metals.